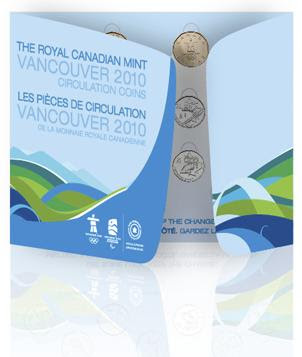 Whether you or your child are serious coin collectors or just collecting to commemorate the 2010 games, you can get a FREE Vancouver 2010 Coin Collector Card to store your collection. "Every coin collection needs a home and the Royal Canadian Mint wants to make sure you have one. These handsome collector coin cards are the perfect place to keep your special Vancouver 2010 circulation coins forever. Keep the collection yourself or pass it on as a legacy they'll cherish forever! For exclusive souvenirs, be sure to check out the Mint's complete Vancouver 2010 Collection." To get your FREE collector coin card, visit www.mint.ca. 0 Response to "Free Vancouver 2010 Coin Collector Card"